A spacious 3 bedroom apartment within a luxury new development. The apartment is set on the top floor and features a beautiful roof terrace. For sale by Savills Saint Jean Cap Ferrat. 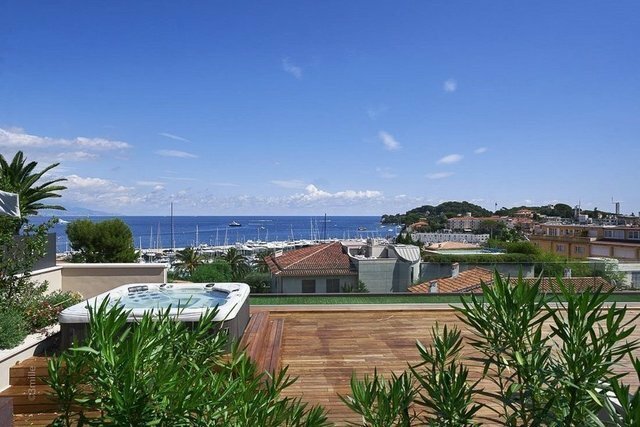 A spacious 3 bedroom apartment within a luxury new development in the heart of Saint Jean Cap Ferrat. The apartment if approximately 213 sq m is set on the top floor of a luxury residence with contemporary architecture, swimming pool and concierge service. The property features a beautiful 62 sq m terrace and 200 sq m roof garden complete with Jacuzzi and summer kitchen. St Jean Cap Ferrat is a beautiful peninsula set between Nice and Monaco. In addition to luxury villas, excellent architecture and panoramic views the Cap features winding roads, a picturesque port, Mediterranean vegetation and a preserved rocky coastline. St Jean to Monaco is approximately 14 km and Nice International airport is located approximately 18 km.